When you enter Amir Wain’s office located in i2c Pakistan’s facility on Lahore’s Ferozpur Road, what’s most observable is what is not there: no adornments or extravagance, unlike other offices this scribe has visited. Vainglory is not Amir’s strong suit. He stands in line with the employees of the company, waiting for his turn to fill his plate with the free meal that his company offers to its workforce – a refreshing quality in a corporate executive at the helm of affairs of a successful business. When it comes to his person or his business, it’s substance over vanity. 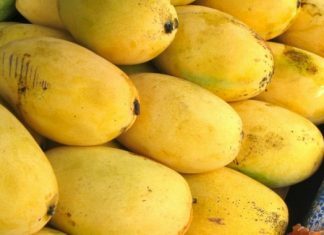 A graduate from the University of Texas with computer science and an engineering degree, Amir’s entrepreneurial run started in 1987 with a company he founded called Innovative Pvt Ltd, followed by Avanceon a few years later. 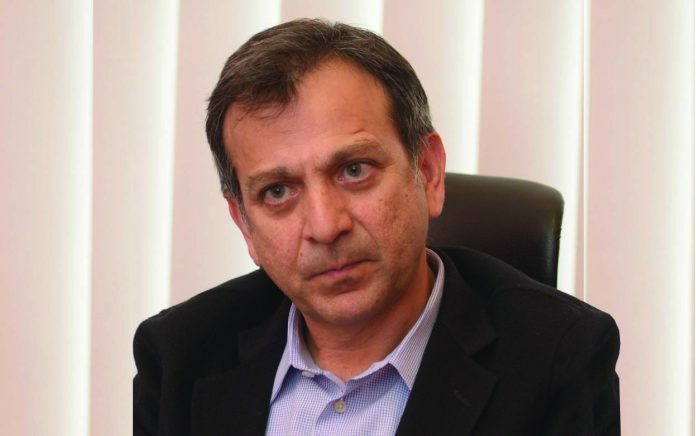 His third company was i2c, one of the leading software firms from Pakistan, which he founded in 2001 and currently serves as its CEO. Since its inception, the company is on an unending pursuit of dominating the global payments processing industry and being the best in the world, and that too out of Pakistan. 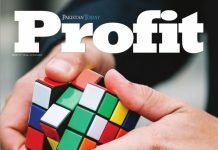 In 1996, Amir came to a realization that the outsourced software development model is a failed business especially in Pakistan as every new client assignment starts from scratch, relationships become transactional, and one never really gets a chance to develop and leverage his own Intellectual Property (IP). Additionally, growth for this business model requires a constant stream of new talent, requiring thousands of skilled developers to get to scale. And while Pakistan has many talented people, it does not have a large talent pool to pull from for continued growth, according to him. “So we decided to develop a packaged software product, looking to develop our own IP and sell single product to multiple customers. While this was a step in the right direction, it has its own drawbacks. First, the software needs to be supported in as many different environments, and hardware etc., as we have customers, making it difficult to provide high-quality service. Secondly, each year essentially starts from scratch in terms of sales. While there is maintenance fees post-sale, it’s a small fraction of the revenue. And this challenge is magnified by any downturn in the market or a negative event in Pakistan. You can see this happen with other IT companies in Pakistan as they hire up during the good times and fire in the bad,” Amir told Profit. i2c was the logical outcome of the challenges faced with the first two business models by Amir and his associates, and in an attempt to create a business model that was stable and sustainable, they ventured into SaaS (software as a service) – an upcoming business model at that time which was essentially subscription to a set of features and functionality on an ongoing contractual basis. “Under the model, we don’t build software for a customer and nor do we sell packaged software that has variability in the environments it’s run on. Instead, we have built software that runs in our own data centers that provides a level of service that is unparalleled because we control the variables that cause issues. Revenues become far more stable due to the ongoing contracts, and growth is aligned with the organic growth of our clients as well as the new clients that we bring on board,” Amir explicated. From an industry perspective, Amir and his cohort stayed in financial services. Whereas they used to do things like ATM driving and card processing, they focused i2c on the infrastructure that issuers need to launch, manage, and grow their payments portfolios, all on a platform based on modern technology and development principals. Today, with almost two decades in business, i2c – originally set up as a US corporation in Silicon Valley and a Pakistani entity – has since added two Canadian entities and boasts a formidable global presence, serving clients with customers in all time zones. Its clientele includes First Abu Dhabi Bank in the UAE, CIBC in Canada, Comerica Bank in the US, Australia Post and others, besides working with card associations like Visa, Master, Discover, American Express, and Union Pay. i2c’s business is specifically consolidated in the payments processing industry where if a financial institution – for instance a bank or a credit union – wants to offer credit cards, debit cards, or prepaid cards to their customers, it needs a platform to manage that from. “That is what we provide. This platform needs to support things like balance tracking, fraud monitoring, transaction processing as well as automatically sending out alerts to cardholders via SMS. Mobile applications have additionally become core to a customer’s relationship with their bank. Most banks outsource this to companies like i2c, customizing the look and feel to match their brand experience. In the US, with the exception of the few extremely large banks, almost everyone outsources this function,” Amir said, as he elucidated the company’s core business. The payments processing is a highly consolidated industry with only a dozen or so companies operating globally. This is in part because it is a difficult industry to enter due to a high degree of regulation, complex requirements, high-availability, and security. According to Amir, once you have entered the industry and been successful, it is a very large-scale opportunity. “In Pakistan, cash is still used quite a bit. Elsewhere though, credit cards and other forms of non-cash payments make up a large majority of all transactions. So, every time someone makes a payment, the processor gets a little bit of revenue. It’s a sizeable revenue per client and we have multi-year contracts. And as more payments move from cash and check to electronic form, our industry continues to grow at an accelerated pace,” he added. But as the volume of transactions through electronic means grows, it increases the pressures on the payment infrastructure, increasing the likelihood of transactions not processing when a cardholder is, for instance, buying petrol or groceries. “It’s a bad experience for the cardholder and it reflects poorly on the clients of the company. So, the system has to be available 100%. We have had over 10 years without any downtime and that has led to happy clients and continued growth,” Amir said. Security in this industry is also incredibly important as instances of data breaches are not uncommon, making it a difficult industry to operate in. But according to Amir, i2c has been fortunate enough to grow into a worldwide company in an industry with few players. 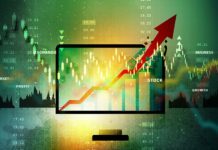 i2c’s competitors are predominantly large, multi-billion-dollar conglomerates in the industry such as First Data Corporation, Fidelity Information System (FIS), TSYS and Fiserv. But while its competitors are fairly large for the size and scale of i2c, Amir has skilfully carved out a niche for his business and giving his competitors a run for their money. “Our competitors are all very big, and by being big, they are unable to move very quickly. Their technology is also antiquated, often running on mainframe-based systems. If you are one of the top banks, you can get their attention and they may do some changes for you. In the US, there are over 10,000 banks which means that most of them have no options when it comes to differentiating their offerings. They simply can’t get anything customized. i2c, on the other hand, offers a lot of flexibility and control and puts most of it in the hands of our clients, allowing them to quickly and easily configure options to differentiate their offerings,” Amir said, adding that i2c was able to win Australia Post as its client against FIS because of its unique value proposition. 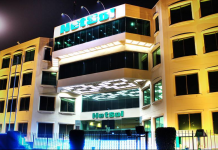 Whenever there is a mention of the Pakistani IT industry, three companies often get the limelight: NETSOL, Systems Ltd and The Resource Group (TRG). All three companies are publicly listed and understandably gain considerable traction than private companies. Pakistan’s tech landscape witnesses more buzz when any of these companies sign a business contract or when there is a bull or a bear run in the bourse. But are these companies more profitable is what Amir questions. While these companies have hit peaks and troughs, as can be seen from the financials of these companies available publicly, Amir claims that i2c’s growth curve has been upward and steady, and makes more profits than these companies. “If you look at i2c’s origin in 2001 until now, the curve of revenue, profitability and headcount has trended upward without the slightest negative blip,” Amir said. 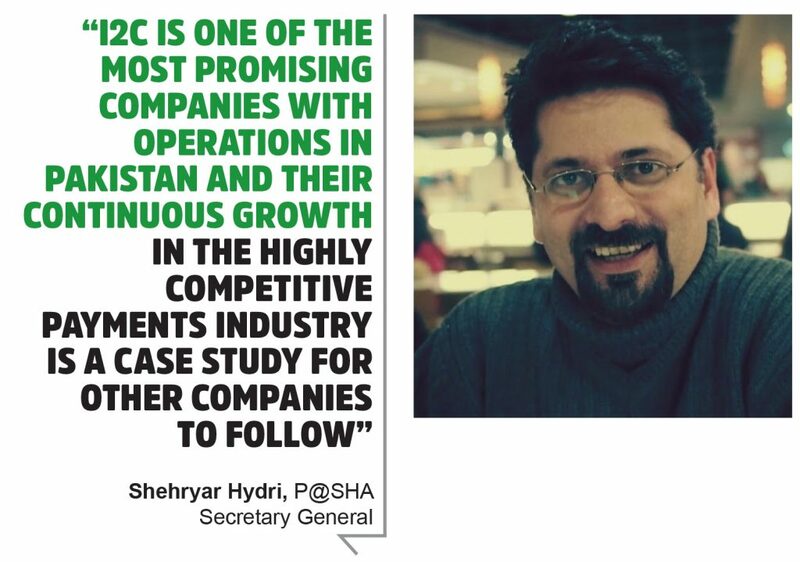 “i2c is the most profitable IT company out of Pakistan. We have looked at the numbers of NETSOL, Systems Ltd and TRG. NETSOL made around $8-9 million in profits last year. Our per-year profit is much higher than that. If someone wants to validate, I can show them that we make more money than any IT company in Pakistan. We are a solid business and we have free cash,” Amir told Profit. He further disclosed that the company is eying $1 billion in revenues by 2025 and is “absolutely on track to do so”. “The plan is based on four different growth levers and we are actively working on those growth levers. If we continue the straight line growth that we are on, by 2025, we will hit $1 billion dollars in topline revenue. Our gross margins are around 60%. We are at a scale where as we go from our current numbers to say half a billion to a billion, there will be improvement in the margin but it is not going to go to 90%. It might move from 60 to 70% but that is the range of the margin we operate in. Our CAGR [compound annual growth rate] was around 30% previously and we are looking at it to be even higher now. One more thing: free cash flow. Our free cash flow is absolutely in line with our profitability,” Amir said. To assess the sensibility of this target, it is paramount to look at i2c’s business from an industry perspective. Globally, the payments industry is burgeoning at breakneck speed, allowing improved revenue and profit margins for those already in this business. A 2017 study by McKinsey & Company had estimated that the global payments industry accounted for 34% of overall banking revenues in 2016 and that for the next five years, annual growth will average 7%, making payments a $2 trillion industry by 2020. Surprisingly, however, in 2017, payments generated an impressive 11% growth for a single year and revenues swelled to $1.9 trillion. Consequently, McKinsey estimated that payments will surpass the $2 trillion projection in 2018, instead of 2020, and approach $3 trillion within five years, making it a rosy industry for the incumbents to grow. And with the legacy payments framework fast becoming an anachronism in an age of millennials and growing e-commerce, financial institutions, in an attempt to stay ‘top of the wallet’, are striving to provide seamless payments experience to the cardholders with an element of differentiation. That is exactly what i2c helps the financial institutions achieve. Through its platform, i2c enables its clients to swiftly differentiate their product offerings to keep pace with the rapidly evolving payments industry. The industry’s robust growth dynamics and direction are, therefore, ripe for maneuvering for higher revenues and, consequently, profits. Amir’s plan to achieve his ends include a $30 million investment in the city of Omaha in the state of Nebraska, US to set up an operation center that will house 350 people. “The building has been bought and the work on it is ongoing as we speak. The governor of Nebraska flew to Silicon Valley just to thank the i2c team for the investment that would create hundreds of jobs. We made a similar investment about three years ago in Montreal, Canada to set up an operations center because of the availability of good talent there,” Amir said. “Moreover, we have recently signed a project, and I cannot disclose the name of the client for confidentiality purposes, but that one project would be close to triple digit million dollars [minimum $100 million] per year in recurring revenue. It is known as the largest project in the prepaid card space and we would be processing about $38 billion [in payments] a year just for that project,” Amir disclosed. But as the company sails towards ambitious targets, Amir ruled out going for an IPO. “For i2c, we have more cash than we need and we have zero debt on our balance sheet. If we want to go acquire a company, we can go acquire it through our own cash. So, for me, to open up to all the public scrutiny and all the overhead and reporting, just for ego purposes so that I can say that our valuation is a billion dollars makes no sense. When you have an empty box, you look for these external validations. I can understand going for an IPO if there is really a need for capital. If you have a poor business model where you are running out of cash and prefer another round of share issue, then that is not our business. We have a solid business and I have no reason to think about an IPO,” he said. A major component of Amir’s strategy is investing in the human resource of the company. For him, the biggest challenge is how to change the mindset of his employees and help them see organization. When it comes to human resource, it is quid pro quo for Amir. He tries to make things easy for his employees to enable them to focus on their work. Thank you for the informative news about Pakistan does not have a billion-dollar software company. Meet the man who wants to change that. Just for your information, Compare & Apply online for the best Credit Card offered by leading banks in Pakistan ONLY at Mawazna.